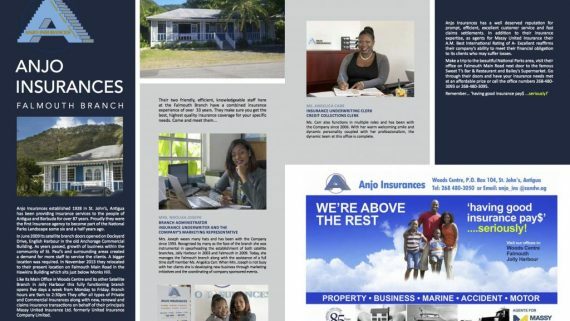 Celebrating 85 years of providing Antigua and Barbuda with reliable, quality and expedient service, Anjo Insurances continues to maintain a culture of customer service and trust that John & Francis Anjo began, and AWH Holdings Ltd. continues today. When Francis Anjo joined his father in the 1920s, he added the insurance agency in 1928, recognising the reality of the islanders’ vulnerability to natural disasters. With the advent of motor vehicles becoming more accessible, motor insurance soon became one of their main insurance packages. Originally housed on Long Street, the Insurance department soon grew as more and more citizens not only recognised the need for the services, but were also aware of the legacy of trust and honesty that became synonymous with the Anjo brand. The company eventually moved to its present main location at Woods Centre in 2000. Today we take pride in being the ONLY insurance company on the island with 3 Branches located in the Woods Centre, Jolly Harbour Commercial Centre and the Anchorage Commercial Centre in English Harbour. Anjo Insurances began as agents for Caledonian Insurance and then the Atlas Insurance Company, both out of the UK. At that time, larger properties were covered under Atlas. But when reorganisation took place in the UK, these companies became part of the Guardian Royal Exchange Group in the 1970s, which Anjo Insurances then represented. In the coming years, however, as business in the Caribbean grew, there was a call for indigenous companies to be formed, to which, islands such as Barbados, Jamaica and Trinidad took the lead. 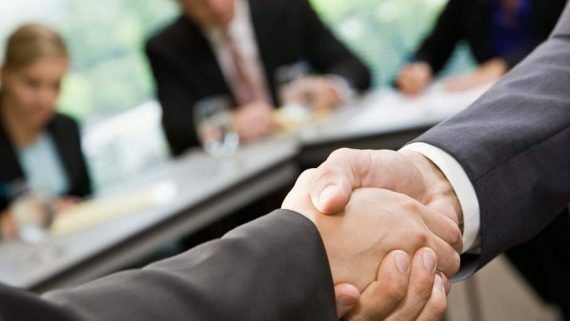 Foreseeing the changing tide, the Guardian Exchange Group encouraged the formation of Massy United Insurance Company in Barbados, which was established in 1979. This company amalgamated the agencies The Royal Insurance Co., The Guardian Royal Exchange and The Sun Alliance. In 1984, The Guardian Royal Exchange encouraged their Antiguan agents, Anjo Insurances, to switch from their company to Massy United Insurance, of which they were still involved. Today, outside of Barbados, Anjo Insurances is the largest agency for Massy United Insurance in the Caribbean. there was a call for indigenous companies to be formed, to which, islands such as Barbados, Jamaica and Trinidad took the lead. 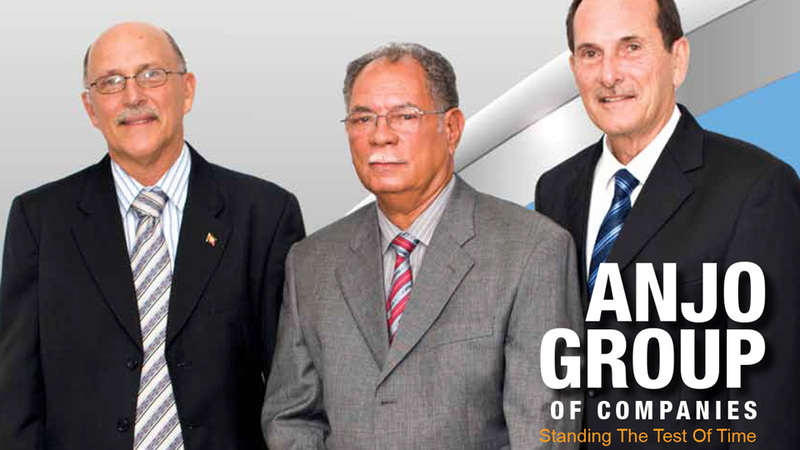 Foreseeing the changing tide, the Guardian Exchange Group encouraged the formation of Massy United Insurance Company in Barbados, which was established in 1979. This company amalgamated the agencies The Royal Insurance Co., The Guardian Royal Exchange and The Sun Alliance. 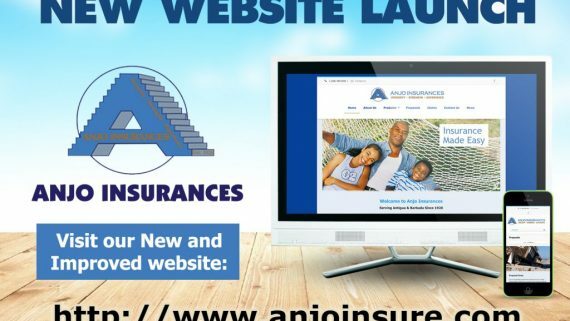 In 1984, The Guardian Royal Exchange encouraged their Antiguan agents, Anjo Insurances, to switch from their company to Massy United Insurance, of which they were still involved. Today, outside of Barbados, Anjo Insurances is the largest agency for Massy United Insurance in the Caribbean. Claims Manager Harry Hobson, who has been with the company almost 26 years, shares that one of their main priorities is “giving their customers value for their money, offering them the protection they need … and a satisfied customer is the best form of advertising. Their motor insurance, for example, remains one of the more competitive on island with their packages for both comprehensive and third party policies. In fact, in their comprehensive policy, customers who suffer the misfortune of an accident within their first year of ownership will not suffer depreciation. Most companies would depreciate the vehicle in the first year. Their liability limits are also substantially better than other companies. The recent addition of the Star Treatment Auto Rescue Service free to all private motor vehicle owners has been rewarding to the clients who benefit not just from road side assistance but also from accident and claims assistance before having to first visit one of the branches. “One of the main claims managers of Massy United, who passed away last year, always had a philosophy,” explains Hall. “When people are paying insurance and have a claim, you have to find a way to pay the claim rather than find a way not to pay. That was his philosophy … you buy insurance in the event that something happens to you … and the insurance company basically makes a promise to pay if something does indeed happen. So if something happened because of something the customer did or didn’t do, instead of saying right away, ‘No, we can’t help you’, he’d try and find a way to see how we could assist this customer. This is basically the same attitude we adopt in dealing with our claims. “When you have a loss and people are in need … something has gone wrong – you had a car accident or your house was on fire – you have to step up to the plate. Our staff recognises this and we try to settle the claims as quickly as possible.” In existence for 85 years, Anjo Insurances has also been the training ground for other reputable insurance agencies today. Before starting their own companies, the following gentlemen were introduced to and trained in insurance right there at Anjo’s: Kenneth A. Gomez of Kenneth A Gomez & Sons Insurance (1956); Arthur Kelsick of Kelsick Insurance (1977); Peter Blanchard of General Insurance Company Ltd. (1984); and Ehret Burton of First Domestic Industry & Commerce Insurance Co.
Today, under the Massy United Insurance seal, Anjo Insurances is rated an A- by A.M. BEST, an international independent third party evaluation company that subjects all insurers to the same rigorous criteria, providing a valuable benchmark for comparing insurers, regardless of their country of domicile. A.M. BEST ratings give consumers an independent and clear “grade” of the insurance company’s financial strength. An A.M. BEST Financial Strength Rating is an opinion of an insurer’s ability to meet its obligations to policyholders. A score of A or A- is considered excellent; while a score of B- is fair, with C being marginal. At Anjo Insurances staff undergo studies in insurance, and are required to earn at least a certificate in insurance proficiency. This used to be administered through the Chartered Insurance Institute in the UK, but is now offered through the Insurance Institute of Antigua & Barbuda, which is an affiliate of the Insurance Institute of the Caribbean. Once applicants are successful in at least six subjects they receive their Caribbean Certificate of Insurance Practice (CCOIP). Some of the core subjects studied include Legal & Business Aspects of Insurance; Liability Insurance; Motor Insurance Practice; Property Insurance Coverage; Claims; and Principles of Insurance. John Hall, who remains very hands on in the company conducting assessments and the like, states, “There is self-gratification when you see someone with a loss rely on a policy you sold them. … Customer service has been key to the success of this company, and that is why we are constantly sending our staff on training seminars. … With quality products and excellent customer service … that feeling of family that is synonymous with the Anjo group is extended to our customers.